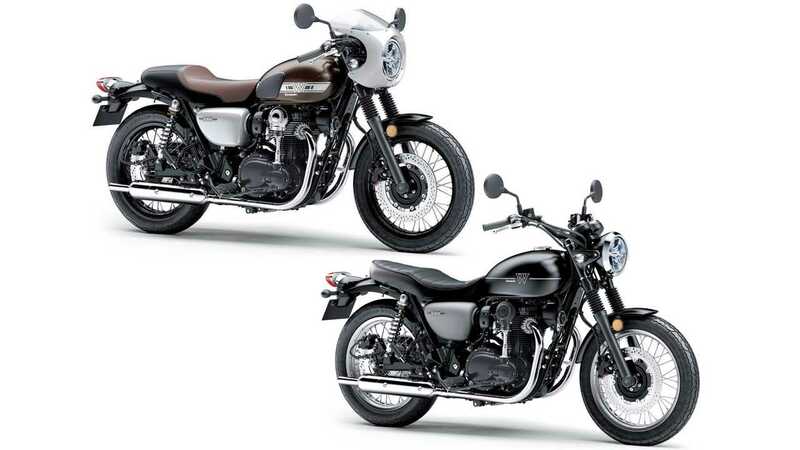 We already reported on the 2019 Kawasaki W800 Cafe retro bike coming to America for 2019, but recently released paperwork from the California Air Resources Board (CARB) suggests the more laid back W800 Street is also coming. 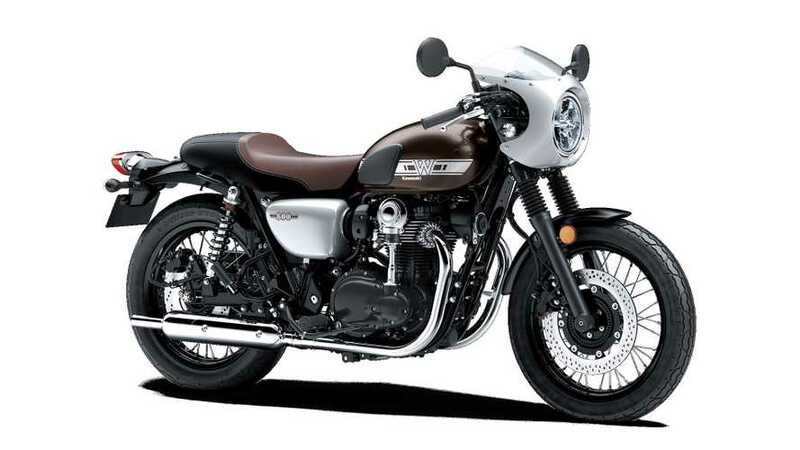 Obviously, someone over at Kawasaki Motors Corp. USA must have noticed how much profit there was to be made by selling the same basic bike in multiple flavors and styles. 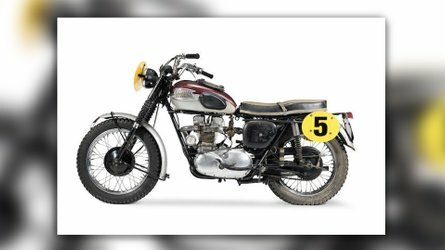 Just look at the success of the Triumph Bonneville, BMW RnineT, Ducati Scrambler, and everything Harley-Davidson has sold in recent memory. By keeping the core components the same, you can fill a whole showroom with different models without a huge investment, and satisfy many different customers. Of course, Kawasaki is no stranger to this plan. Back in the 1980s you could get a KZ1000/1100 in standard, LTD, sport, ST (shaft), Spectre, and Eddie Lawson Replica, and they applied many of those to their smaller bikes too. More recently the same 650cc parallel twin motor has powered the Ninja 650 sport bike, Z 650 naked, Versys 650 adventure bike, and Vulcan 650 cruiser; and the cruiser was further adaptable with various ergonomic packages. You have to imagine dealers love this, as they have a bike for every customer, and yet it simplifies parts and service immensely. 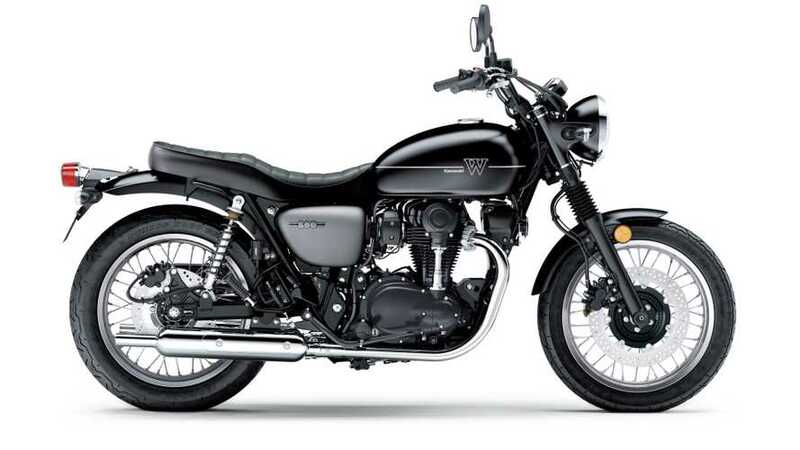 So what is the Kawasaki W800 Street? 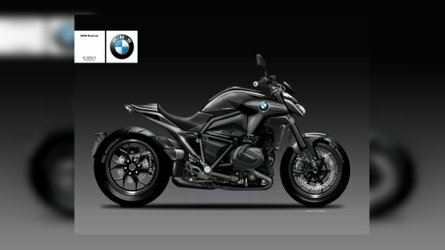 From the spec sheets and pictures, it is the W800 Cafe with a lower stepped seat, higher handlebars, and no bikini fairing. 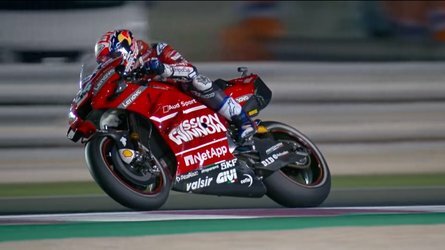 Engine tuning is the same with 46.4 lb-ft of torque at just 4,800 rpm, and no published horsepower figure, which seems flexible and unintimidating even for a novice rider, especially with a slipper clutch to make it hard to stall or lock up the back wheel on a downshift. The geometry looks the same, which is to say, slightly sportier than a cruiser, and the wheels and tires are the same size, so they should handle the same. 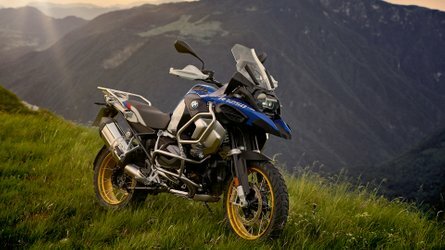 One area where they do differ is in weight, with the Cafe having an extra 5lbs or so (489.4lbs), according to manufacturer published dry weights in Canada (where both bikes are confirmed). 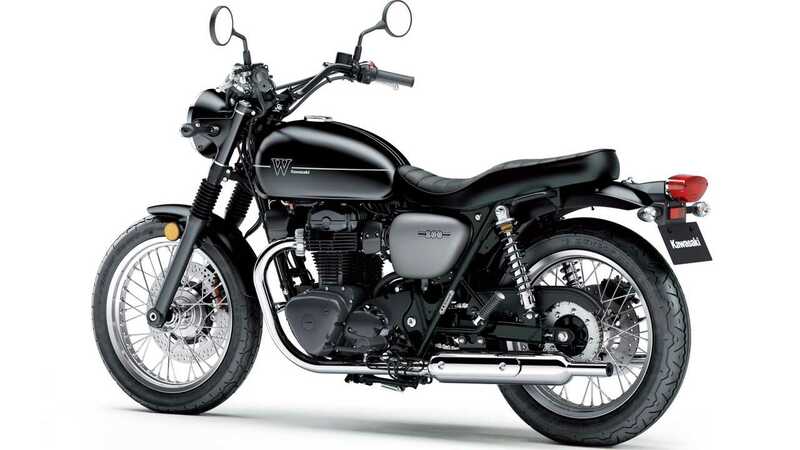 We don't have pricing yet, since the Street has not been confirmed, but in Canada, it's slightly less than the Cafe, so we assume it will come in at about $8,999.